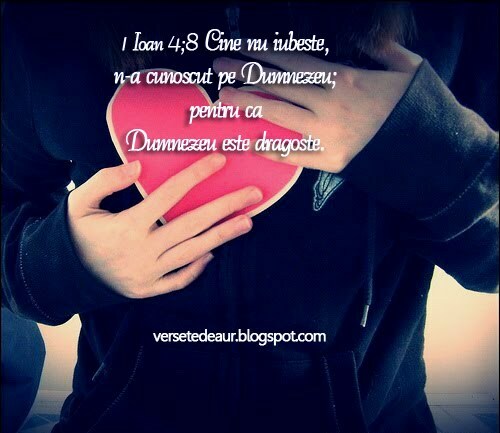 Ioana's Blog | Isaia 43:4 De aceea, pentru că ai preţ în ochii Mei, pentru că eşti preţuit şi te iubesc, dau oameni pentru tine şi popoare pentru viaţa ta. Sunt multi cei care cad, cine ii va ridica? Sunt multi cei deznadajduiti, cine le va da speranta? Sunt multi cei care striga si plang, cine ii va mangaia? Speranta are doar o singura cale si aceea e ISUS. Ridica-te de unde ai cazut! Refuza sa mai fi trist sau sa plangi! UNUL SINGUR a murit pe cruce, UNUL SINGUR a plans, a fost batjocorit si a purtat durerea noastra, a tuturor! ISUS este Acela. Ai fost chemat sa fii lumina, stralucesti! 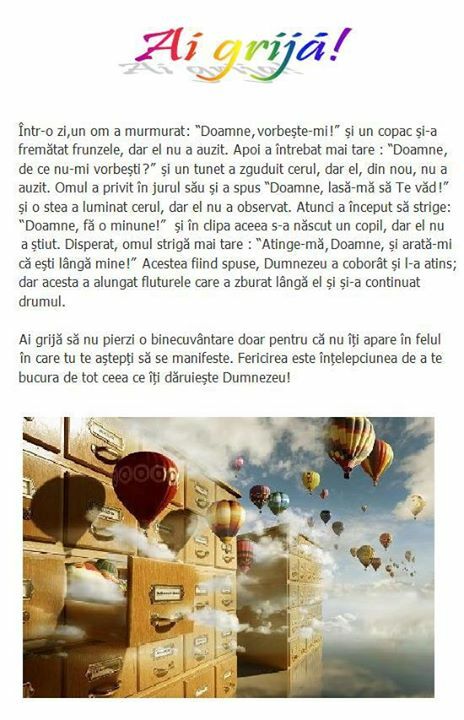 Nu-l lasa pe cel rau sa fure ce a pus Dumnezeu in tine! De ce sa te opresti acum, cand mai e speranta? Fa un pas catre Dumnezeu si El va face doi catre tine! Am fost ca tine, am plans zi si noapte, am strigat in durerea mea si n-a fost nimeni si nimanui caruia sa-i pese sau sa vada durerea mea, dar strigatul meu a fost auzit de sus din ceruri, de Dumnezeu, care in momentul in care m-a auzit, a lasat tot si a alergat in ajutorul meu, in cautarea mea.. si lacrimile mi-au secat! In locul lor a pus bucurie, pace, dragoste si vindecare si azi, pot sa zambesc si sa experimentez binecuvantarile Lui. Azi sunt eu cea care il cauta zi de zi, ptr ca nu e zi in care sa-I multumesc indeajuns ca m-a salvat, m-a ridicat din prapastia in care m-a gasit din pricina pacatelor mele, ca m-a iertat, mi-a sters lacrimile si acum sunt plina de bucurie, pace si speranta! Acum sunt eu cea care iti intinde o mana tie, cea care vrea sa iti asculte durerea inimii tale si care vrea sa iti redea speranta si bucuria care vin doar de la Dumnezeu. De ce? Pentru ca de fiecare data cand cineva se intoarce la Dumnezeu, e sarbatoare in cer si astfel pot sa aduc un zambet si eu Celui ce m-a mantuit si m-a salvat. Bucura-Te Doamne, toata viata Te voi lauda, toata viata iti voi sluji pentru ca nimeni nu este ca Tine! Nimeni nu da daruri atat de minunate ca Tine si Tu nu le iei inapoi, Tu stii sa ierti, sa Te porti cu blandete si ai rabdare sa astepti pe fiecare din copiii Tai. A message from last Saturday at the OverComersChurchRomania church.. Check it out.. great message! How are you today? I never had the occasion to thank you all for reading what I am writing in here and for subscribing to my blog..so thank you. I love you all with the love that God has shown me through His Son Jesus .. I know I am not writing every day… or maybe you would like to find another information on my blog and I am not giving you that.. so let’s talk about that.. write me down the things you would like for me to write about and if I can I will gladly write about it. 🙂 Today I wanna share with you some information about the church I am in right now.. Her name is OverComersChurch Romania or in romanian “Biruinta”. I feel so blessed in this church, because here I find all the answers to my daily questions and all the teaching I need to know about God, Jesus and His Holy Spirit. God has spoken me more than one time in this church, He is a God that listens to our prayers.. We have a website and you can find us there all the time..also you can find information about the church or leaders, songs that we sing or videos that we are recording every Sunday. If you come to Romania, in Oradea, which is home city 🙂 you can join us whenever you want. I know that God has blessed me when He send me here because not only that I can grow spiritual, but I have found also a lot of friends 🙂 Yes, it might sound strange..but I never had friends, because people in general disappoint us, but God doesn’t! 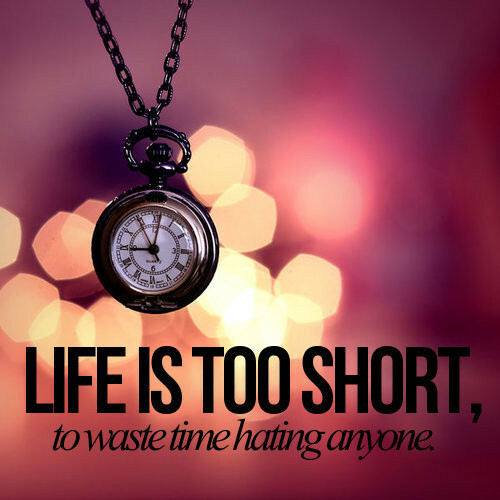 🙂 Psalm 25:3 No one whose hope is in you will ever be put to shame, but they will be put to shame who are treacherous without excuse. So if you wanna join us in our church to receive the correct teaching according to God’s Word and that is revealed by the Holy Spirit, you are always welcome and you will also find friends and love that comes from God, because GOD IS LOVE. I will give you the link to our website, check it out and let me know if you are having any questions. I encourge you today to make a difference in the world, because we are all unique and God has put in us gifts not to use them for ourselves but to help the others. Be a light to those around you, give a hand to the one in need, a smile to the one who has tears in his/her eyes and love one another with the love that God has shown us through His Son Jesus Christ. John13:34 “A new command I give you: Love one another. As I have loved you, so you must love one another.